Story Contracting is to recruit 40 staff next year after securing £100 million worth of work from Network Rail. The firm’s rail division, based at Burgh Road Industrial Estate, Carlisle, has been operating since 2000 carrying out bridge replacements, station refurbishments, track re-laying, earthworks, drainage and painting. 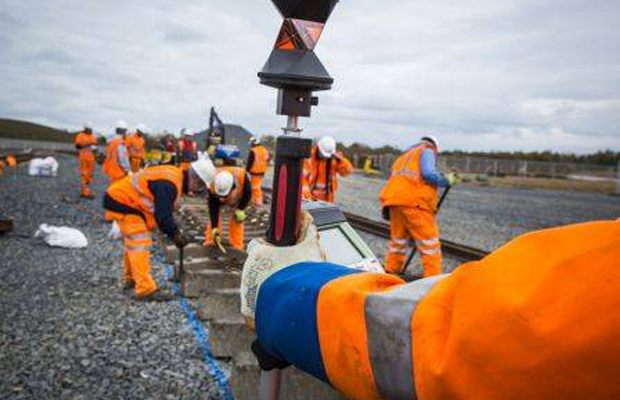 It is one of nine companies to be awarded 20 framework contracts from Network Rail for the London North Western and East Midlands regions. These have a total value of £1.6bn over five years. Story’s share is worth £84m and covers railway structures, earthworks and property, primarily on the West Coast Main Line between Preston and Scottish border. When added to a recent framework contract in Scotland, it takes Story’s order book with Network Rail to £100m. “This is the first time a framework contract has been won by a Cumbrian company. That creates employment for Cumbrian people and boosts the county’s economy. Story’s rail division employs 90 people, most in Cumbria although it also has sites in Glasgow, Chorley and Normanton in Yorkshire. Turnover has grown from £13m in 2012-13 to £26m last year and is on target to reach £35m in 2014-15. Network Rail plans to spend £38bn over the next five years on running, maintaining and improving the railways, which carry four million passengers each day. The award follows Story’s success in being named Network Rail’s Supplier of the Year this summer.